If you have already completed your undergraduate degree and are interested in advancing in your career working for a company or operating your own business, pursuing a Master’s in Business Administration can make good sense. Once you have made the decision to invest in yourself and study toward this advanced degree, you’ll want to find a top-ranked school that offers programs at affordable tuition rates. These two ideas are not mutually exclusive, and since employers still look at where you got your degree as well as the fact that you completed one, you’ll want to make sure you choose well. In this ranking, we present the 20 cheapest business schools from among the U.S. News Best Business Schools. We sort them from most expensive to least expensive based on out-of-state tuition. All tuition information is pulled from the NCES College Navigator. The Broad School of Business offers a number of MBA programs to fit different learning styles. Of the 804 graduate students admitted to the school, 156 were full-time MBA students, and 276 were pursuing their degree on weekends. According to Forbes, full-time MBA students who chose Broad College paid back their MBA costs in an average of 3.3 years, which was the second-shortest period in the ranking. MBA students also ranked it highly for education satisfaction (No. 3). The Financial Times ranked Broad’s weekend MBA No. 2 among U.S. programs. The Kelley School of Business was established in 1920 and has been ranked as one of the top business schools in the nation by U.S. News & World Report, Business Week, and The Economist Intelligence Unit. Kelley is one of only three business schools for which all undergraduate and graduate programs rank in the top 20 of the U.S. News & World Report college rankings. Its Godfrey Graduate and Executive Education Center is 180,000 square feet of classroom and office space for graduate students, as well as the administrative offices for the MBA program, and space for visitors and corporate recruiters. The University of Washington’s Michael G. Foster School of Business was founded in 1917. The Financial Times ranked Foster as #58 in the world in 2014. Its MBA programs (full-time, evening and executive) are ranked No. 1 by U.S. News and World Report (2015). Along with a full-time MBA program, Foster also offers work-compatible programs for students who want to continue in their careers while pursuing a degree. The evening MBA program can be completed in 24-33 months, the technology management MBA can be finished in 18 months, and executive MBA students can earn a degree in 21 months. The Business School was established in 1919 as the Department of Commerce of UNC Chapel Hill’s College of Fine Arts. It took the name Kenan-Flagler Business School in 1991 to pay tribute to two distinguished American families that were both noteworthy in business and school benefactors: philanthropist Mary Lily Kenan Flagler and her husband, Henry Morrison Flagler. Forbes has ranked the full-time MBA program at No. 11 for ROI (return on investment). It has also been ranked in the top 20 in the United States by U.S. News & World Report, Bloomberg BusinessWeek The Executive MBA program has been ranked among the top 15 programs in the country by Bloomberg BusinessWeek and U.S. News & World Report. The Scheller College of Business at Georgia Tech was established in 1913. It is ranked among the top business schools in the country and attracts high-calibre students due to its emphasis on the merging of business and technology. Its full-time MBA was ranked 6th by Bloomberg BusinessWeek and 12th by U.S. News & World Report. The full-time MBA program admits 75 students per year and can be completed in 22 months. A total of 450 students are enrolled in the evening MBA program. This flexible option can be completed in as little as two years or as many as six years. The executive MBA program is completed on a 17-month schedule. The Smeal College of Business was founded in 1953 and can be found in the Business Building, which is a 210,000 square-foot structure located near the eastern end of the Penn State campus. Smeal has one of the top 15 public MBA programs in the country, according to Bloomberg BusinessWeek. The curriculum covers both “functional expertise and broad business perspective.” Graduates are well prepared for roles in the global business world. All the students enrolled in the Class of 2015 received merit-based financial aid. 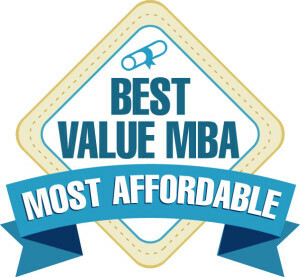 According to Forbes, Smeal Business College ranks in the top 10 for years to payback for MBAs. The College of Business was established in 1915. In a nationwide survey, Illinois was ranked #5 in ROI (Return on Investment). The University placed ahead of all the Ivy League, Big Ten and private universities. The placement rate for MBA students is 85 percent. Students enrolled in the full-time MBA program can customize their curriculum during their second year of study by taking electives from inside and outside the College of Business. The Professional MBA program is offers the opportunity to study part time and blends classroom discussions with case studies, projects, and simulations. The Executive MBA can be completed in 20 months by studying four days per month. The Krannert School of Management was established in 1962. U.S. News & World Report ranked it No. 22 overall (Spring 2014) in Master’s programs, Business Insider ranked it No. 18 overall for its Master’s programs, and Bloomberg BusinessWeek ranked it No. 6 in the Fall of 2010 for ROI (Return on Investment). Established in 1926, approximately 6,300 students are enrolled in the University of Florida’s Business School. All of its programs are accredited by the Association to Advance Collegiate Schools of Business, and the UF Traditional MBA has been ranked 19th among public business programs by US News & World Report for Best Graduate Schools (2015). UF MBA full-time students ranked eighth in average undergraduate GPA (3.55) and the acceptance rate was 25.7 percent, which was the 19th among all programs. This school offers a high-quality learning experience for a select group of students without losing focus on the ROI (Return on Investment) and value it provides. The Terry College of Business has been in existence for over 100 years. It was the first state-chartered business school in the South. The College was renamed to honor alumnus Herman Terry in October 1991. Mr. Terry and his wife made the largest private gift in the school’s history to the institution, and the decision was made to mark this event following his death in 1998. University of Georgia MBA programs are ranked 49th, 48th, and 52nd, by Forbes, U.S. News & World Report, and Businessweek, respectively. The Executive MBA program is ranked 22nd by The Economist. The Robert H. Smith School of Business was established in 1921. It is one of 12 colleges and schools within the University of Maryland. The full-time MBA program is ranked No. 24 by Financial Times (2013). A part-time MBA program is also offered, as well as an Executive MBA degree program which can be completed in 19 months. Students who choose this option have an executive coach who works with them throughout the accelerated program. An online MBA degree program is also available; this option is completed over 21 months and features the same curriculum as the on-campus counterpart. Established in 1931, the Eller College of Management is known for its top-ranked MBA programs. It also leads the country’s business schools in generating grant funds for research. Eller is one of the largest colleges at the University of Arizona; 600 graduate students are enrolled there. Eller offers a full-time, evening, Executive, and online MBA program. This MBA program is one of the smallest among leading programs in the nation; it averages 52 students per class. The faculty-to-student ratio is 1:2. The full-time program lasts 21 months; part-time students complete their degree in 24 months. The Executive MBA program can be completed in 16 months (four days a month of classes), and the online degree can be finished in as little as 14 months. The McCombs School of Business is one of the largest and most distinguished business schools in the nation. It has the distinction of being one of the few schools to have been recognized as being the best in almost all the areas ranked each year by U.S. News & World Report at the undergraduate and graduate levels. McCombs offer a full-time MBA program that can be completed in two years. There is also a part-time option where students attend classes two evenings per week which takes 2.5 years to complete. The Executive MBA program meets on alternate weekends (all day Friday and all day Saturday); this program can be completed in two years. All MBA programs at the University of Texas as cohort-based. The Ohio State University Fisher College of Business has been producing business leaders since 1916. It ranks 18th overall, and 8th among public universities, according to U.S. News & World Report. The full-time MBA program is ranked 27th overall and 9th among public universities by U.S. News & World Report (2015). The full-time MBA program can be completed in two years. Most students accept an internship between the first and second years of study to get experience in their area of specialization. A part-time program with evening classes for working adults is also offered. Students are accepted on a rolling basis, so that they can start in either the fall or spring semester. The Executive MBA program can be completed in 17 months. All students enrolled in this program are required to complete a study trip abroad to graduate. Texas A&M University Mays Business School has over 5,000 undergraduate and graduate students in attendance. Bloomberg BusinessWeek ranked its full-time MBA program as No. 10 in the U.S. of public schools and 26th overall(2013). Its Executive MBA program was ranked 1st overall for ROI (Return on Investment) by The Wall Street Journal (2008). Full-time MBA students complete the 49-credit-hour program in 16 months by studying for four terms during their first year. Professional MBA program starts in August each year. Classes are held on alternating weekends and the program runs for 22 months. The Fox School of Business, Temple University was established in 1918. It has a reputation for preparing business leaders and entrepreneurs for successful careers after graduation. Its full-time Global MBA jumped 10 places to No. 48 in the latest rankings by U.S. News & World Report (2015). The online MBA program was chosen as the ninth best graduate business program according to U.S. News & World Report (2014). Its Executive MBA program is ranked in the Top 20 in the country for the sixth straight year, according to the Financial Times (2013). The W.P. Carey School of Business at the Arizona State University has the distinction of being one of the largest business schools in the United States. More than 1,500 graduate students and 6,300 undergraduate students are in attendance. The Carey School welcomes learners from around the world; students benefit from the world-renowned faculty who encourage them to take an entrepreneurial approach to learning. Carey’s part-time MBA program is ranked at No. 18 and its full-time MBA is ranked at No. 27 by U.S. News & World Report. The Executive MBA program is ranked at No. 13 by The Wall Street Journal. The Carlson School of Management was founded in 1919. Originally known as the University of Minnesota School of Business, Carlson is a leading educational institution. The school is focused on international education and experiential learning. U.S. News & World Report ranks Carlson’s full-time MBA program at No. 33 among America’s Best Graduate Schools (2014). The part-time MBA program was ranked at No. 1 by Mpls. St. Paul Business Journal on its list of the Top 25 MBA programs in 2010. Bloomberg BusinessWeek ranked the Executive MBA program at No. 24 on its list of Top Business Schools in 2013. The Wisconsin School of Business was established in 1900 and is home to one of the first five business programs in the country. It still holds onto that entrepreneurial spirit to this day. Its forward-thinking curriculum prepares students for the challenges they will face in the real world. Graduates are known for being industry-smart and extremely well prepared. A total of 193 full-time MBA students attend classes at Wisconsin School of Business and 214 evening and Executive MBA students are enrolled in programs at the school. The full-time MBA program is ranked No. 9 for most satisfied graduates by Forbes (2014). The Marriott School became the School of Management in 1975 It is located in the N. Eldon Tanner Building, a 220,000 square-foot granite building on the BYU campus. The building was expanded in 2008 to accommodate the growing number of business students. Approximately 1,000 graduate students attend classes at the Marriott School. The MBA (Accounting) was ranked No. 7 by U.S. News & World Report (2014). Entrepreneur ranked the MBA (Entrepreneurship) No. 8 in 2013. The MBA (International) was ranked at No. 22 in 2013, and the general MBA is ranked at No. 27 by U.S. News & World Report for 2014. Making the commitment to pursue an MBA is one that you should not take lightly, as it will require considerable effort on your part to complete this rigorous degree program. Employers will recognize your effort once you complete it, and it will open doors to management and entrepreneurial opportunities. Consider enrolling in one of these affordable top-ranked business schools as part of your plan to make getting the education you need a bit easier.